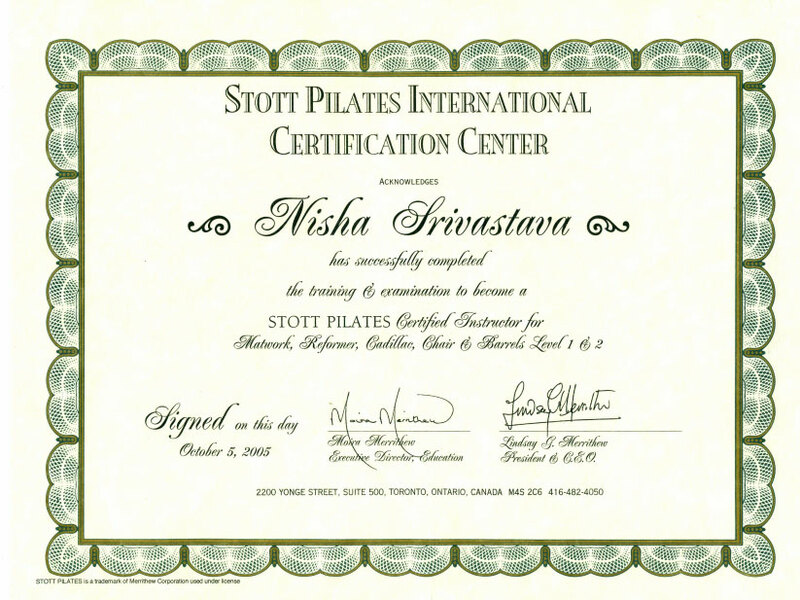 Nisha Srivastava is a fully certified Level 2 STOTT PILATES® instructor, qualified to teach from beginner to advance levels on Mat, Reformer, Cadillac, Chair and Barrels and also 1000 hour Yoga Alliance accredited. 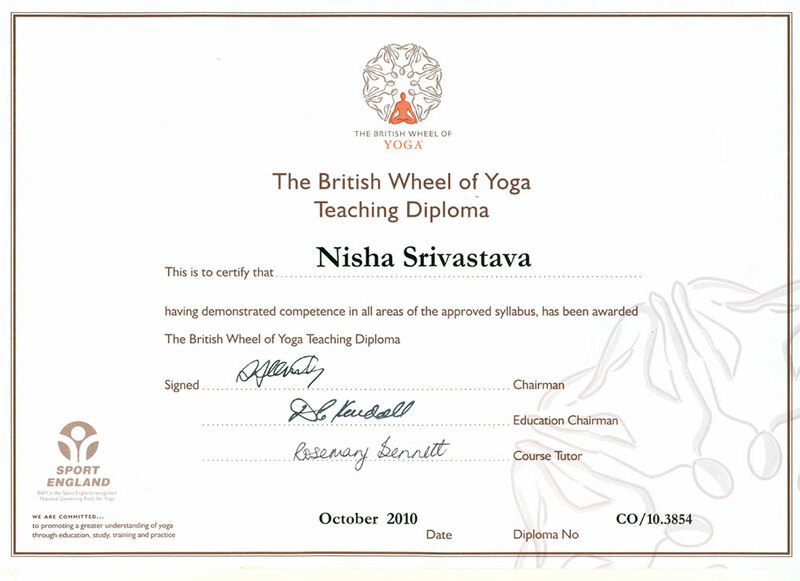 She is also a certified dance teacher with the “Imperial Society of Teachers of Dance”, Level 1 GYROKINESIS® / GYROTONIC® instructor, and holds her “500 hours British Wheel of Yoga”. She has 16 years of experience in the industry and is the preferred teacher Of Everton FC, Salford City Reds, Wigan Warriors and Saints RFL. Two highlights in her career have been coaching the England RFL squad 2012 at St.Georges Park and Loughborough plus teaching Sting his on tour when he was at The Manchester MEN back in October 2007. 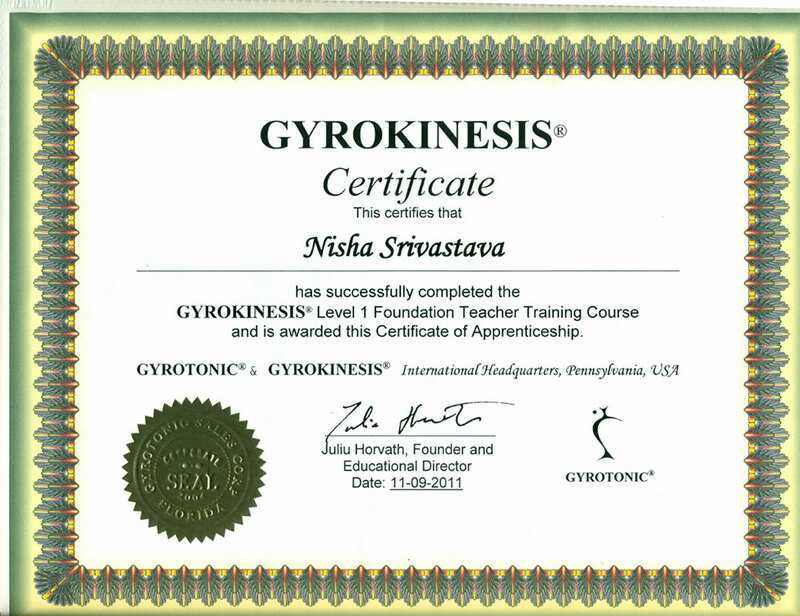 She is presently working her way through her CHEK certifications and studying fascia in dissection. Nisha’s energy is infectious. She knows how to bring out the best in her students. She blends her own artistic vision and life experiences into each lesson. Nisha originates from North West of England and was first introduced to Health and Wellness through her mother, who follows “The Good Life” (aka Felicity Kendall). She gets her determination, ambition and lust for adventure through her father who hails from Lucknow in Northern India. Nisha has been in the Dance, Health and Fitness industry for 16 years and uses this background to develop her own style of Athletic Pilates. She is a fully qualified Dance teacher with the “Imperial Society of Teachers of Dance” and ran her own dance school “Alhambra Academy of Dance and Drama” for sixteen years before selling it in December 2007. Her unique style creates a vigorous and dynamic Vinyasa flow of Pilates, which is based on STOTT PILATES and is inspired by her dance and Yoga experience. Her bespoke programme is taught according to the anatomical principles of STOTT PILATES and the ‘F.A Treatment and Management of injuries in Football’. The methods of Pilates teaching that she uses have been greatly influenced by her dance college days using the works of Martha Graham and Merce Cunningham. In recent years she has added the influence of international presenters- James de Silva, Kathy Corey,James de Silva Madeline Black, Marie-Jose Blom, Michael King, Shiva Rae, John Friend, Simon Low, Elizabeth Larkam, Sean Corn, P.J.Oclair, John Garey and Hollywood’s favourite Siri Dharma Galliano,Gill Hedley,Tom Myers and Gary Gray. She also incorporates concepts from her extensive travels across Asia, Middle East and U.S studying various forms of Pilates and Yoga. Dec 2011 Thai Therapeutic Massage, Old Medicine Hospital, Chaing Mai, 180 hours, Thailand. 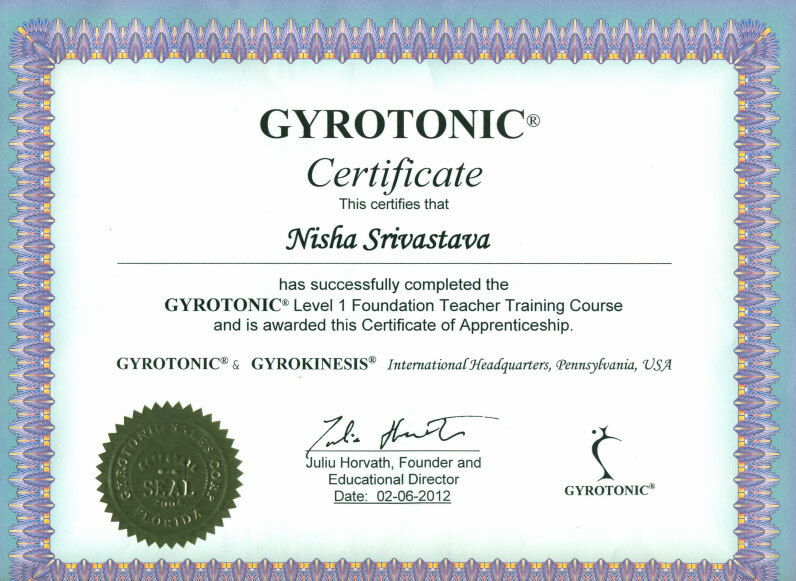 GYROTONIC and Logo, GYROTONIC EXPANSION SYSTEM, GYROKINESIS, and GYROTONER are registered trademarks of GYROTONIC Sales Corp and are used with permission.